US President Donald Trump believes that the European Union could soon become a massive importer of US natural gas. 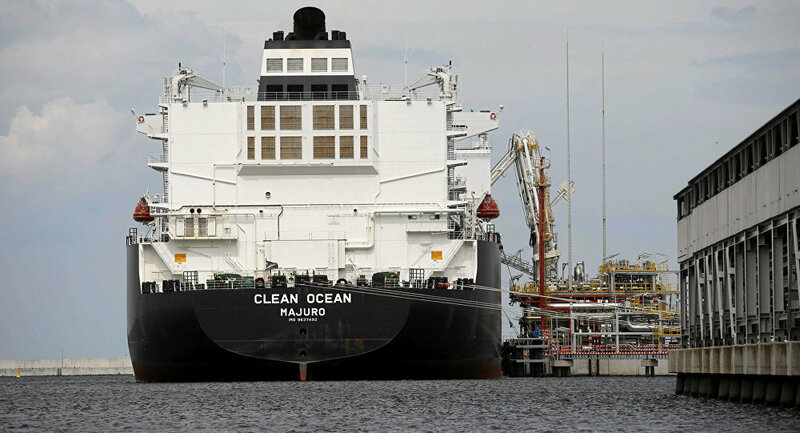 This comes after last week, Trump and the European Commission president Jean-Claude Juncker said that they've agreed to increase trade of liquefied natural gas (LNG) from the US to Europe. Sputnik discussed this with Dr. Thierry Bros, senior research fellow of The Oxford Institute for Energy Studies and a member of the EU-Russia Gas Advisory Council. Sputnik: Donald Trump has said that the European Union would soon become a "massive" importer of US natural gas. Do you think that this will indeed happen? Thierry Bros: It is going to be a commercial decision, so the US will produce much more LNG and this LNG will be shipped where it is more profitable and one thing you didn't say about LNG vs pipe gas is that it has optionality, so LNG can go to the most profitable market. If, indeed, it's Russia's LNG or US LNG, there are shipments going to China and South Korea because it is more profitable. Sputnik: Why would Europe import American gas which is likely to be expensive due to transportation costs if it has other alternatives like Russian gas? Thierry Bros: Remember two things, you have to look at it on which side you are. If you are a consumer then it doesn't really matter, we have in Europe an energy market that is fully functional after decades of implementation, so, therefore, we have here a market price, so any time gas is pumped into Europe it is sold at a market price, be it Russia's pipe gas, be it Russian LNG, or be it Qatar LNG. At the other part of the equation is if you're a supplier, you must be profitable, i.e. you must be able to sell your pipe gas or LNG at a profitable level in the European Union, and you're right, Gazprom is the least costly in terms of shipping gas into Europe. Gazprom will always be the most profitable. As I stated, if sale prices aren't higher than the cost of production of US LNG, then US LNG can't come into the European Union and be sold profitably. Sputnik: Some experts view this move as a concession that Europe has made to avoid further trade pressure on the European Union from Donald Trump, what are your thoughts on that Doctor? Thierry Bros: Right now it's just talking, we don't know how it's going to be achieved, as you've rightly stated US LNG accounted for less than 1% of the total EU demand last year. It's growing, but as I stated, US LNG could be sold more profitably in China or South Korea. So maybe it has been political talk regarding this, but at the end of the day, it's going to be a commercial decision and we're not going to see more US LNG, if the US has other options and if pipe gas is supplied to Europe. Sputnik: How does Europe benefit from this agreement with the United States? Thierry Bros: Well it's going back to my competitive market, if we want to achieve and to maintain a competitive market we must have as many competitors as possible. So for Europe having the US competing in the market is good news, at the end of the day, as I said, we will have a market price, so if US gas can be sold profitably at the European market then fine. Again remember, in the market, we do not want one major producer to have a too-big market share. Gazprom today has 32% market share, it Is absolutely fine in terms of competition rules, but again, if we were going to rely exclusively on one, then it would be a problem and this is why we have different sorts of gas. It makes sense, at the end of the day the commercial deal will be done by companies and the companies will look at maximizing their profit. The views and opinions expressed by Thierry Bros are those of the expert and do not necessarily reflect those of Sputnik.